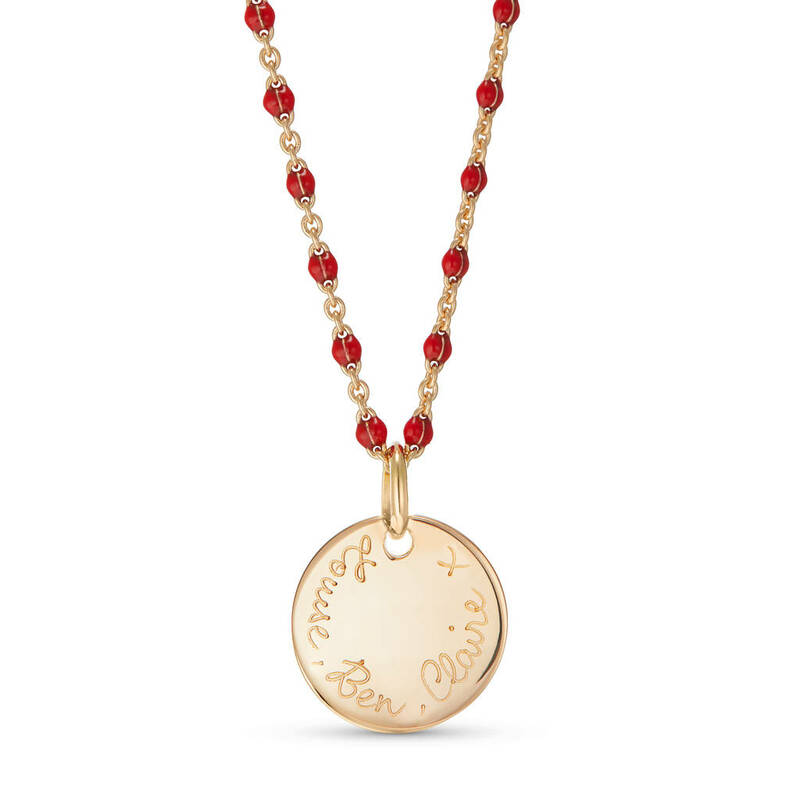 The truly unique Personalised Enamel Beaded Chain Necklace features your choice of red or black enamel beaded chain, supporting a delicate hand-engraved disc pendant. 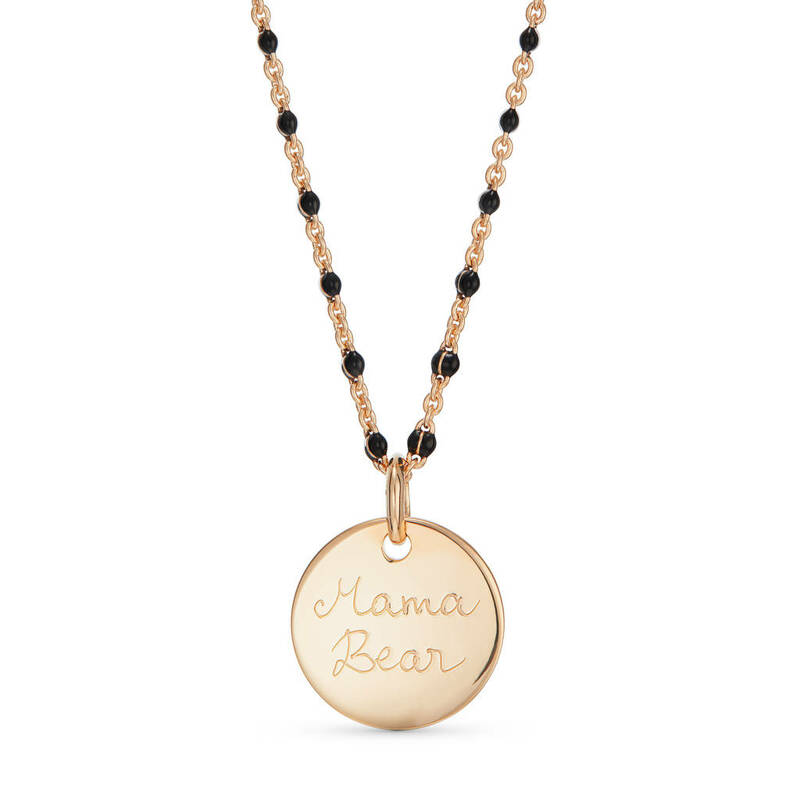 This 18K Gold Plated and Enamel necklace can be personalised with your choice of text. 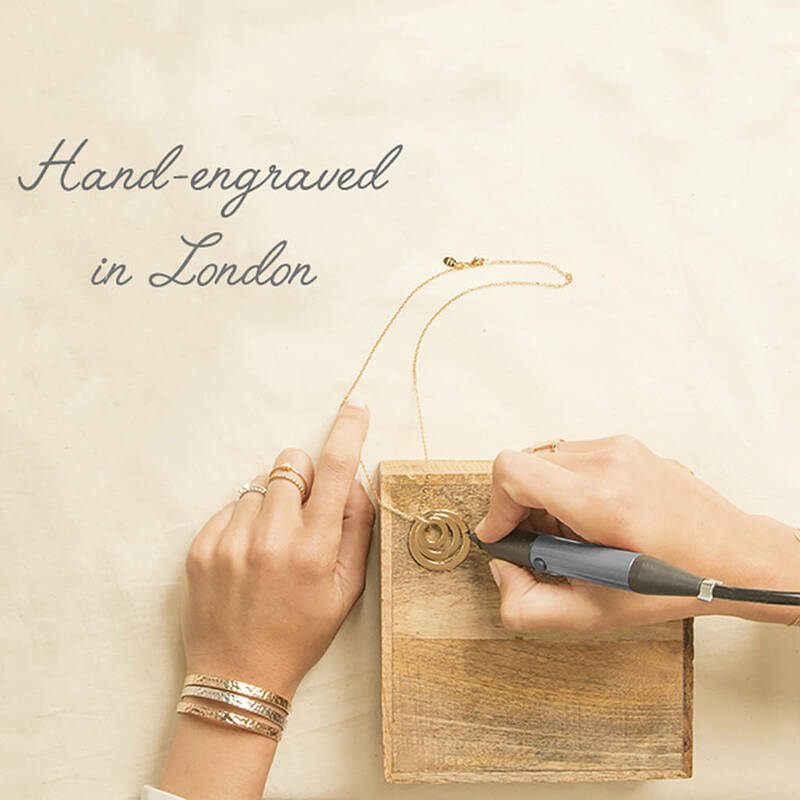 You choose whether we hand engrave the pendant around the edge (up to 16 characters) or across the centre (up to 18 characters), to create a necklace as individual as you are. 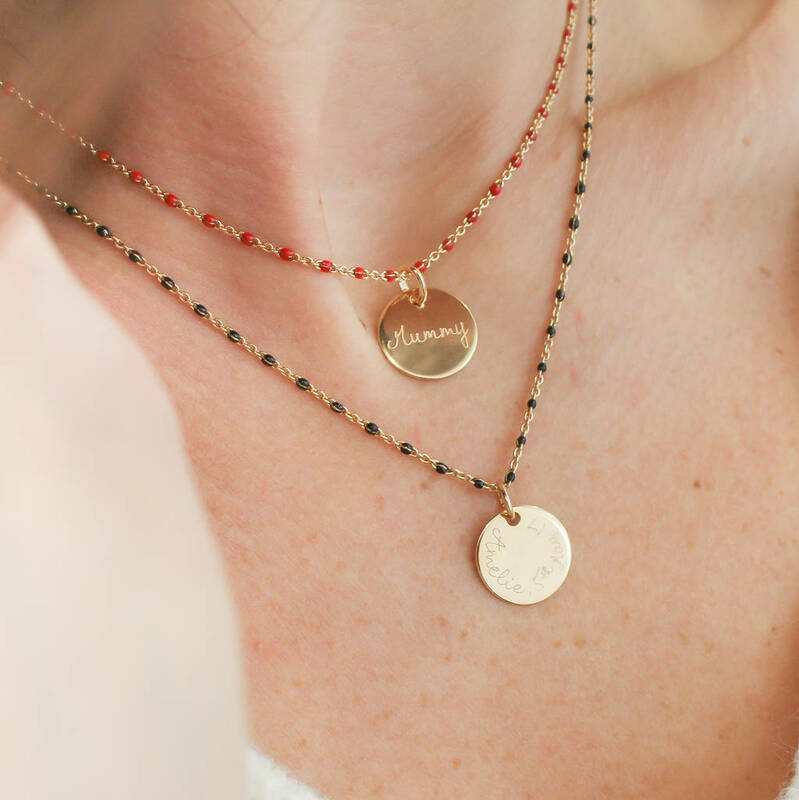 Layer with other chains for up-to-date style or wear alone for colourful simplicity.